How Do I Stick to A Budget When Renovating? Renovating your home is kind of like planning a wedding. You start out with a few small ideas and seem pretty impressed with the low budget you have in mind. Suddenly, things begin to get out of hand as you come across new ideas and inspiration, and before you know it you’ve blown your budget to pieces trying to achieve your dream ceremony. So, how do we avoid the real possibility of getting ahead of ourselves and planning for renovations that we simply can’t afford? We’ve found a few helpful tips that will ensure you stick to the budget and achieve all of the renovations you had hoped for. Before you even set off on your renovation journey, take some time to create a detailed plan about what exactly you want to do and what you to spend. Take your time organising quotes from professionals, be realistic about the quality of materials you want for your house, and give yourself a timeframe for when you want to achieve your new kitchen. Check things off when they’re done and adjust the final cost so that you can keep an eye on spending as you go. Too many homeowners end up spending money on things that don’t get them any returns when it comes time to sell their house. According to the experts, the bathroom and kitchen are the two most important spaces of the home, so try to focus your energy (and expenditure) here. This is because buyers can just move in without having to do any work, as the two most used and important rooms of the house are ready to go at the time of sale. No matter how hard you try to get every cent down to an exact amount, there are always going to be things out of your control. There might be unforeseen problems with plumbing, electrical work that needs to be redone, or changes in style that you have in mind. Give yourself about 10% extra in your budget to cover the costs that would otherwise sneak up on you. On the upside, some things might end up cheaper than you thought, which is always a nice surprise. The rise of the home handyman is evident in recent years, and while there are some excellent ways to cut costs by doing renovations yourself, there are other areas where it shouldn’t even be attempted. Trade experts achieved their skills and experience through years of hard work and training, so never attempt to do anything that a professional should do. Otherwise, you’ll end up costing yourself more time and money trying to fix your mistakes. When it comes time to renovate the most important space of the home, you don’t want to leave any room for error. 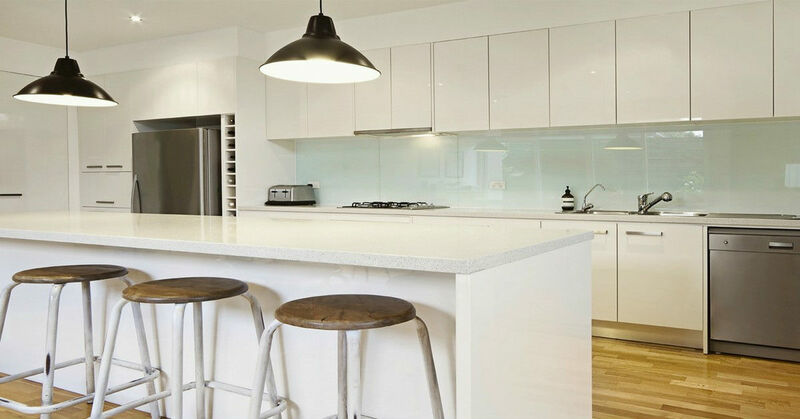 The team at Zesta Kitchens have years of experience renovating kitchens and can work with a wide range of budgets and tastes. We invite you to phone us today on 1300 100 555 or if you are ready for a new kitchen, book a Kitchen Consultation and let us help you achieve your vision.